this is such a beautiful image...and I love your cat lurking in the background. so adorable! Gorgeous. My favorite ranunculus color. Haha, that naughty kitty in the background. Priceless! 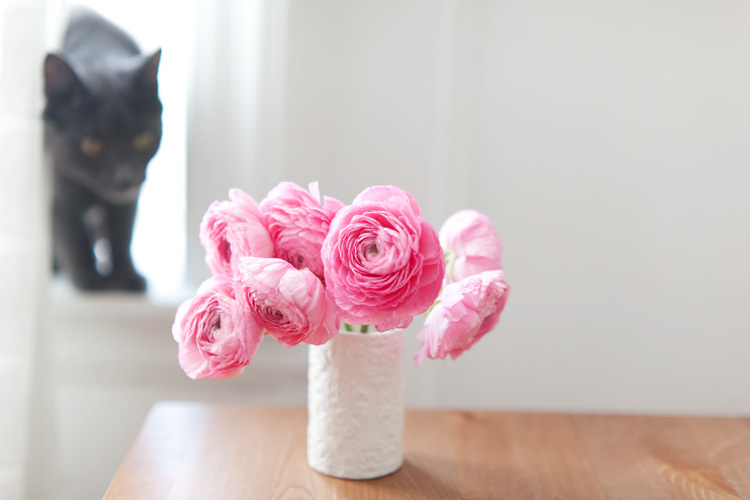 These ranunculus are making my ranunculus-loving heart beat fast. Also! I usually hate asking where people bought things, but where did you buy that vase? Terrain? wonderful picture and happy easter. No matter how hard I try, there's no way I can emulate your incredible interior and food shots. just came across your lovely blog! beautiful photos, thanks for doin' what you do.